Since first being introduced to television audiences as the object of Claire Danes' angst-ridden lust in My So-Called Life, Jared Leto has enjoyed a growing popularity that has allowed him to make a name for himself in a steady stream of films. Born December 26, 1971, in Bossier City, LA, Leto led a peripatetic childhood under the care of his mother, who moved her family to places ranging from Haiti to a Colorado commune. Leto, who was interested in becoming a painter, enrolled in Philadelphia's University of the Arts, but then discovered acting and transferred to the School of Visual Arts in New York City. While he was a student there, he wrote and starred in his own film, Crying Joy. Leto moved to Los Angeles in 1992 to pursue his acting career. In 1994, he got his big break playing My So-Called Life's oblivious heartthrob, Jordan Catalano. Although the show didn't have a long run, it accumulated a loyal cult following from being ceaselessly re-run on MTV. Leto soon became daydream fodder for teenage girls, a status furthered by his selection as one of People's "50 Most Beautiful People" in both 1996 and 1997. After starring with a pre-Clueless Alicia Silverstone in the 1994 TV movie The Cool and the Crazy, Leto was cast in his first big screen role in How to Make an American Quilt (1995). More work followed in The Last of the High Kings (1996), in which he co-starred with Christina Ricci, and in Switchback (1997), opposite Danny Glover and Dennis Quaid. Leto then took on an athletic part in the Disney-produced Prefontaine (1997), the story of legendary runner Steve Prefontaine. 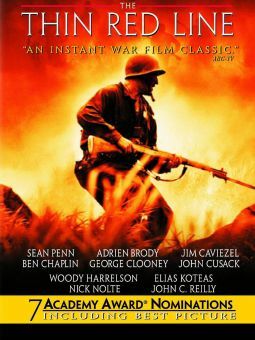 1998 proved a good year for Leto, who appeared in Terrence Malick's The Thin Red Line as part of a powerhouse cast including Nick Nolte, George Clooney, and Sean Penn. In addition, he had a major role in Urban Legend, one of the more successful exploitations of the teen horror genre. Leto did hit one stumbling block, however, with Basil, a straight-to-video period drama co-starring Christian Slater and Claire Forlani. This misstep didn't seem to hurt the actor, whose name was already attached to a number of high-profile projects that would no doubt further increase his star wattage. 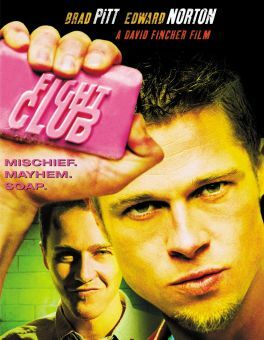 Two such projects were the edgy indie films American Psycho and Requiem for a Dream, both released in 2000. Though passed up for the lead in the former film, Leto made an impression in a supporting role as an arrogant yuppie doomed to be the first victim of vapid serial killer Patrick Bateman. Later that year, Leto landed the plum lead role in up-and-coming director Darren Aronofsky's sophomore effort, the addiction drama Requiem for a Dream. Playing a young Brooklyn man struggling with heroin and a severely unhinged mother, Leto had the opportunity to play against the legendary Ellen Burstyn as well as future Oscar winner Jennifer Connelly, and garnered the best reviews of his career. Though two other Leto-starring films -- a would-be Boogie Nights ensemble piece named Sunset Strip (2000) and a grungy, Tarantino-esque road film eventually titled Highway (2001) -- quickly went the way of the video store shelf, the performer would find himself better employed as a supporting actor in two of director David Fincher's more notable films. 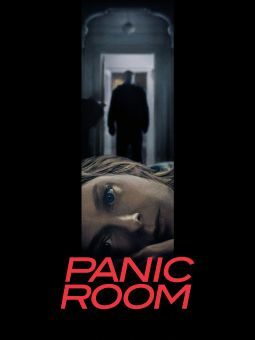 In the controversial Fight Club (1999), Leto had a small part as a masochistic anarchist wannabe; in 2002's Panic Room, he played the most verbose and bumbling of the three burglars tormenting Jodie Foster's character. 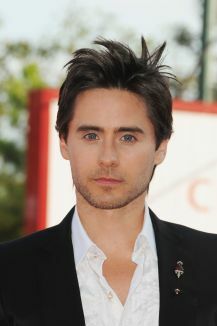 In the coming years, Leto would divide his time between an acting career and his rock band, 30 Seconds to Mars. Some of the movies he would appear in over the ensuing decade would include Lord of War, Alexander, Lonely Hearts, and Chapter 27. Once worked as a dishwasher, photographer and nightclub doorman. Breakthrough role was Jordan Catalano on the acclaimed but short-lived ABC drama My So-Called Life. Learned Russian for his role as Vitaly Orlov in 2005 crime drama Lord of War. Gained more than 60 pounds for his role as Mark David Chapman, who murdered John Lennon in 1980, in the biopic Chapter 27 (2007). Is the lead singer and guitarist for platinum-selling rock band 30 Seconds to Mars, in which his brother Shannon plays drums. Was named a global ambassador for the WWF in 2015.